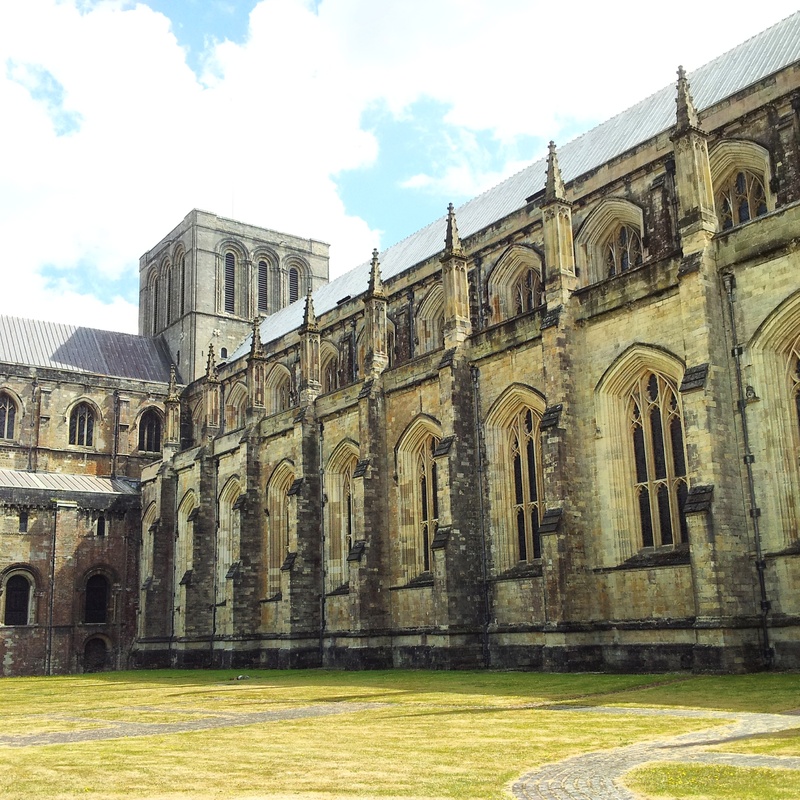 How to spend a sunny Sunday in Winchester, Hampshire – Why Waste Annual Leave? Sometimes in life, it’s the people closest to us that we take for granted the most. And sometimes in travel, the same applies. For years, I grew up taking the train to school and hearing about Winchester daily, as its name would monotonously blare out from the projectors at the train station. Who even knew that once upon a time this was an ancient capital of England? I get so caught up in the modern day capital that I just ignore the charming peripheral cities and towns, which are so eager to share their secret assets with us. Perhaps it’s just about needing an excuse to give you the impetus to explore a place that hadn’t really registered on your radar and fortunately for us, that excuse was the spa hen weekend near Winchester that we had booked for our dear friend’s hen party. And so, after a Saturday full of massages, giggles and girly chats, we ventured into Winchester on a warm and bright Sunday. It was a rather a lucky coincidence that it happened to be the first Sunday of the month, as this is the exact time when the monthly antiques market takes place, full of bric-a-brac, vintage brooches and sweet jars, quirky furniture and oodles of attitude. I took a particular shining to the pearl and jewel encrusted bridal tiaras that two of the brides-to-be in our cohort were trying on and I must admit, it did make me miss being a birde – but onwards and upwards! It was an even luckier coincidence that we walked past the Chococo cafe in perfect time for a mid morning coffee break. After the indulgences of a heavy Saturday night, no one was in the mood for a proper meal. After all, we had bridesmaid and bridal outfits to be getting into in a few weeks time and we knew our limits. Or did we? Where chocolate is concerned, there is always a hungry bit of my belly waiting to be satiated and this colourful, feminine and friendly cafe had enough choice of handmade chocolates, ice creams and cakes to leave the mind boggling. 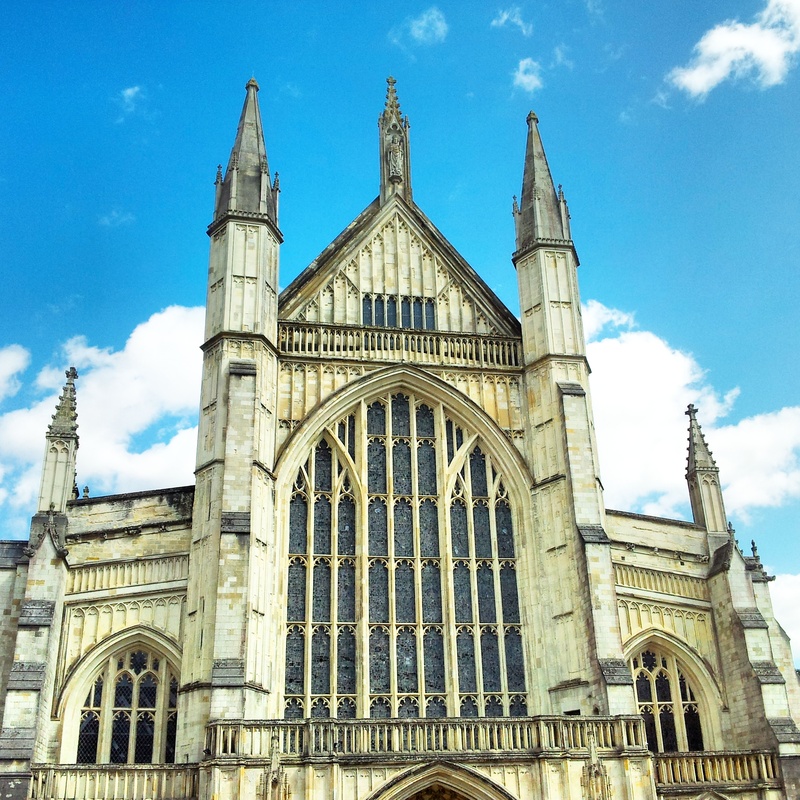 But antiques and chocolates aside, Winchester’s greatest legacy must surely lie with its Gothic cathedral and the grassy lawn that surrounds it, which on a sun soaked day provides one of the most perfect picnic spots in southern England. We lay in the shadow of the cathedral, relaxing, snoozing, elongating time and getting an instant flavour for just why it is that so many people leave the hustle and bustle of a city to relocate to somewhere like this. Have you ever visited Winchester? And would you have been equally tempted by these chocolates?! I’ve been there a lot as I’ve always lived near it; I now live down the road in Basingstoke (and commute to London daily). The chocolate shop is nice but I’ve never been in it because I know it’ll end in tears…someday I will go when I’m resisting the temptation. 🙂 There’s a Montzuma’s Chocolates there…actually the first in the chain I’d been to! I love their chocolate. 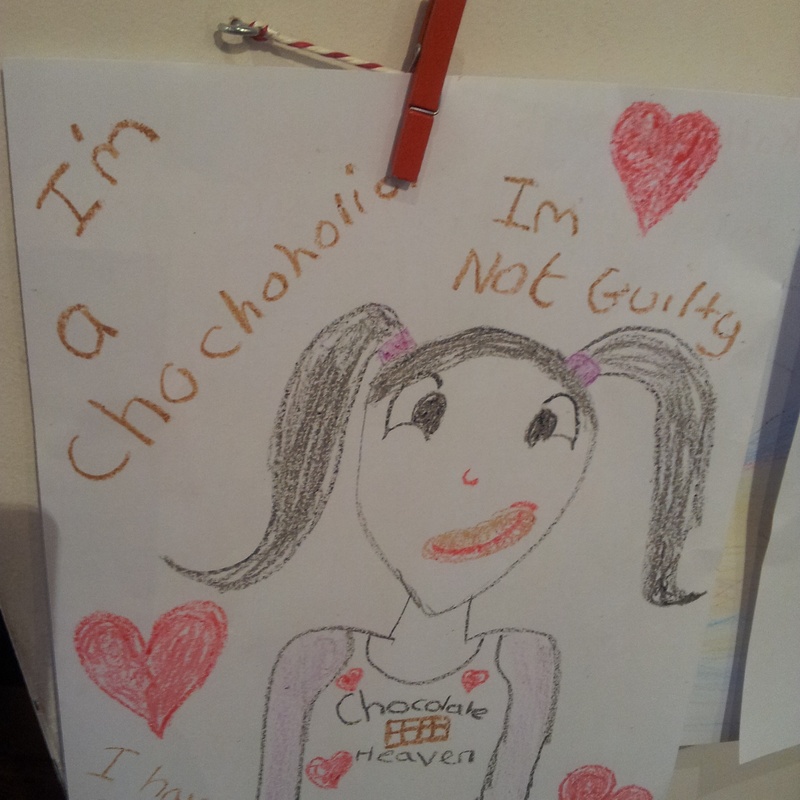 I can never resist chocolate! Winchester is such a pretty town which I explored one December – it was pretty as a Victorian Christmas card. Winchester looks so lovely! I’ve never heard about it before, I’m always looking for new towns and cities to explore and this one looks good. I just checked and it’s not far from London so I could do a day trip. Winchester looks charming. And I think you know how much those chocolates are tempting me right now 😉 Lovely post and pictures, Shikha! Hehe, I like to think it is quaint and charming in its own right – but yes, I agree, colourful photos of chocolates, cakes and sweet jars certainly brighten up any town or city 🙂 Thanks for reading Jenna! I love Winchester, such an underrated city! More chocolate?!?! Okay I’ll let you off on this one because that place looks fab! I could do with some of that right now 😉 Might have to add Winchester to my list of places to explore a bit closer to home. I went to university in Southampton, so this post really took me back, thank-you! If you ever have the chance, as people have said before, make sure you go to the Christmas market. A little expensive obviously, but it’s beautiful and there’s plenty of mulled wine! How lovely it must have been studying near such lovely areas 🙂 Yes, I’m really keen to visit the Christmas markets there now that you’ve all raved about it – I’m even pondering whether I might be able to squeeze it in this year and the London ones are pretty pricey but even without buying much, it can be wonderful just roaming around taking in the markets 🙂 Thanks so much for reading Katie! I’ve only been to Winchester a couple of times but this post makes me want to go back – if only to go to that chocolate cafe! I have been very lucky in my business life, which has allowed me to travel the world, with enough spare time to explore my surroundings, however, I love the UK, we may not have the tallest mountains, or the deepest lakes, but we have such a wide variety of landscapes in such a small area, that I don’t think you can find better anywhere in the world. Coupled with our wonderful history, beautiful buildings and usually temperate climate, I’m lucky to be and Englishman in England! Loved this comment Dominic – left me feeling delighted to be living in the UK! You are right about the diversity of landscapes though and I really must make more effort to explore more of them – so many beautiful parts of this country (both well known and lesser known) that I’m still to discover!